Our favourite fruit available to enjoy in winter and summer alike. 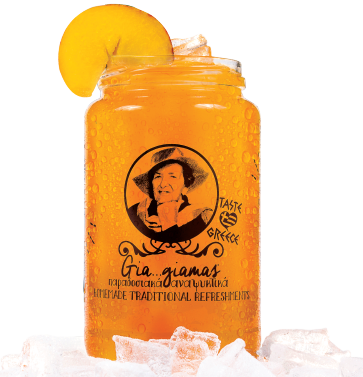 Our peach drink, rich in vitamins and energy, is the perfect answer to demanding taste buds. 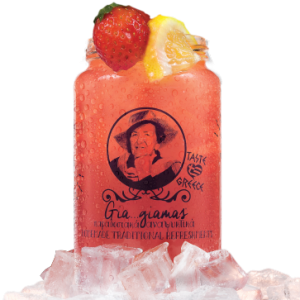 Its intense aroma and real peach pulp seduce the senses. 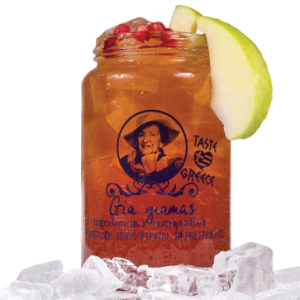 Product of crushing of fresh Greek peaches, without artificial preservatives and colour additives, that can be perfectly served either as juice or as soft drink. 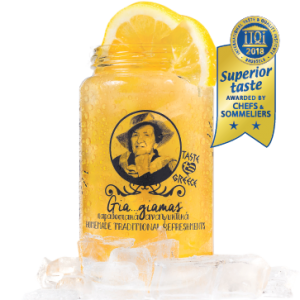 Our 1300gr bottle gives you the pleasure of 25 servings of 580ml, served in our special traditional glass jar, which captures the exuberance of Greek culture. Peach puree, sugar, glucose syrup, acidify agent: citric acid, antioxidant agent: vitamin C, natural flavors, colouring: b-carotene.